Pittsburgh, of all places, knows what it’s like to deal with serious air pollution. Our history is not pretty. There are lots of Pittsburghers still alive that remember needing to use headlights at noon because of the thick pollution. There are still buildings with visible signs of the layers of grime that have had to be sandblasted off most of our older structures. Thankfully, today all of that horrible, smokey air is just a bad memory. The city and county have gone through a metamorphosis and have come out beautifully. When we rode our bikes by the river last spring we found hundreds of mayflies – the sign of a healthy river. But what visible signs do we have for the quality of our air? Is it now sparkling clean? Unfortunately we’re not there yet. Pittsburgh and the surrounding area was 21st on the Most Polluted City list in the American Lung Association’s 2014 State of the Air report. This electronic mural showed us visually what that means. 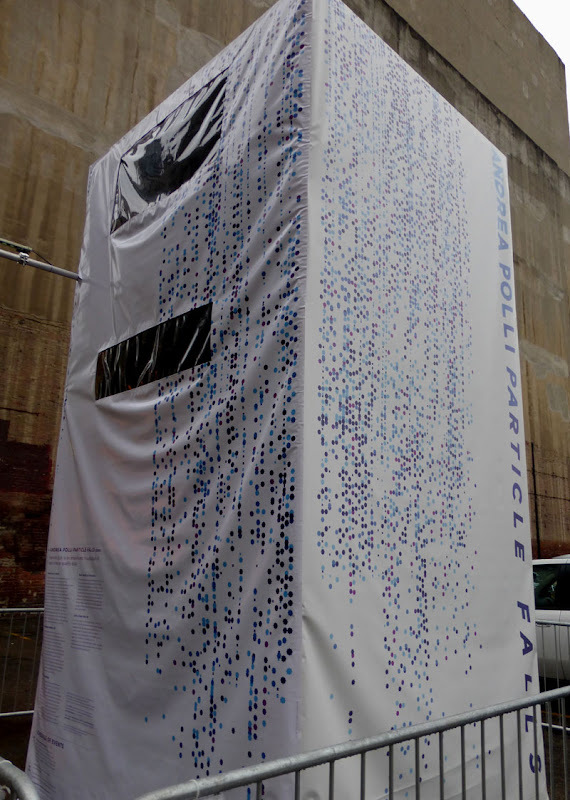 Particle Falls was a combination of science and art that provided a visualization of the real time air quality. 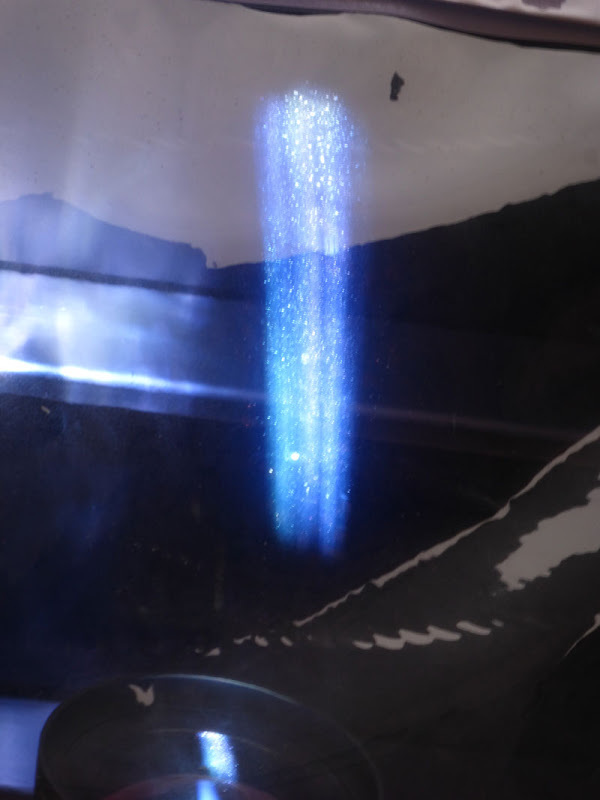 The projected image that resembles a blue waterfall formed the backdrop. If the air were free of small particulates, that’s all you’d have seen. Nearby instruments measured the amount of small particulates in the air and then converted that data into bursts of color. 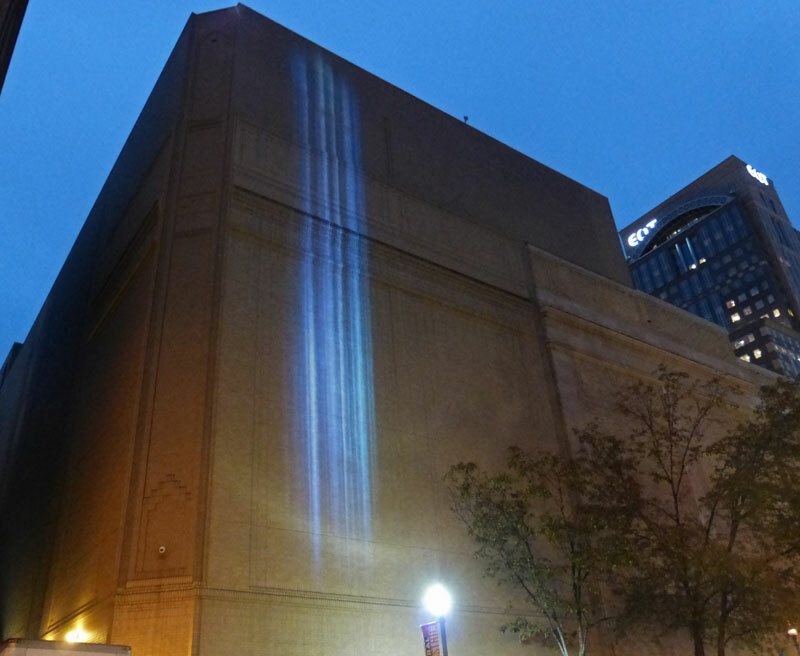 The display crackled with light, shifted, and changed as the levels of particulate matter in the air fluctuated. 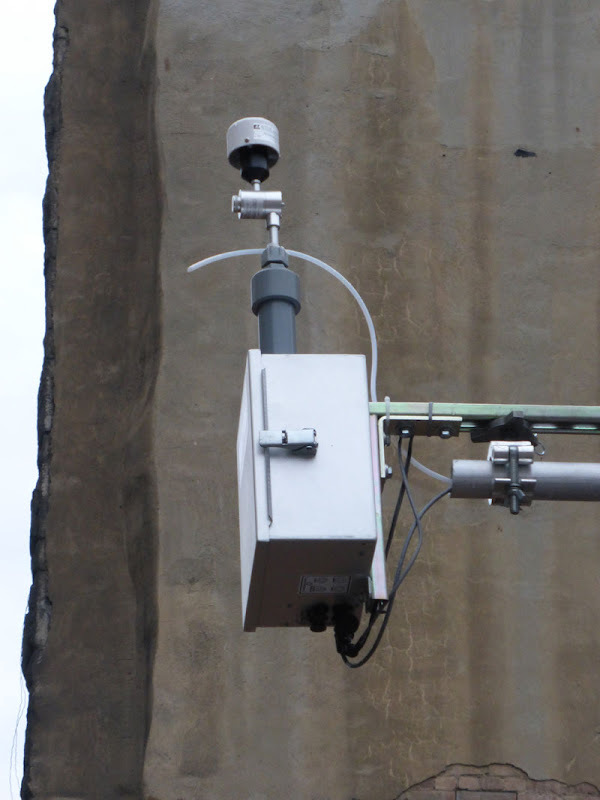 The higher the frequency of snapping color, the higher the density of particulates in the air. Close up of projection window. Photos taken about 10 minutes apart. 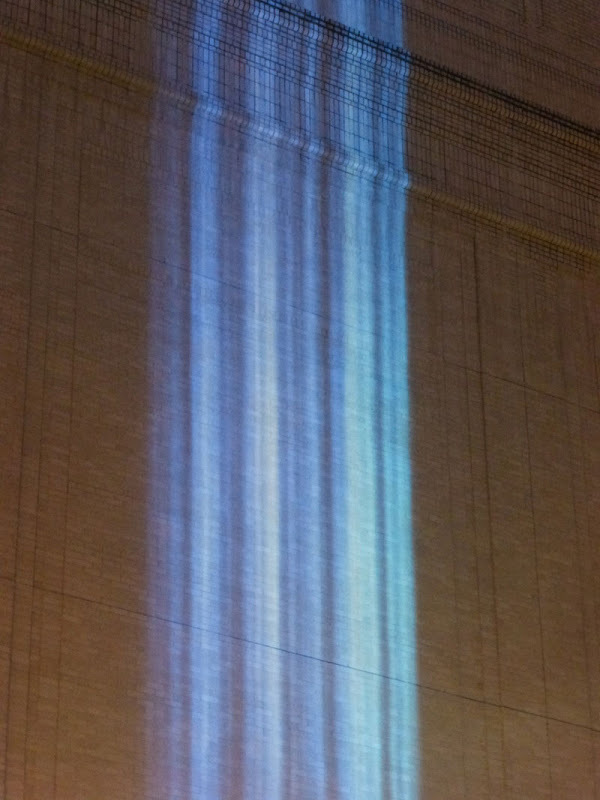 The Center for Atmospheric Particle Studies at Carnegie Mellon University were involved with this installation as well. Besides assisting with the scientific aspect of the artwork, they collected data from this to add to their research. 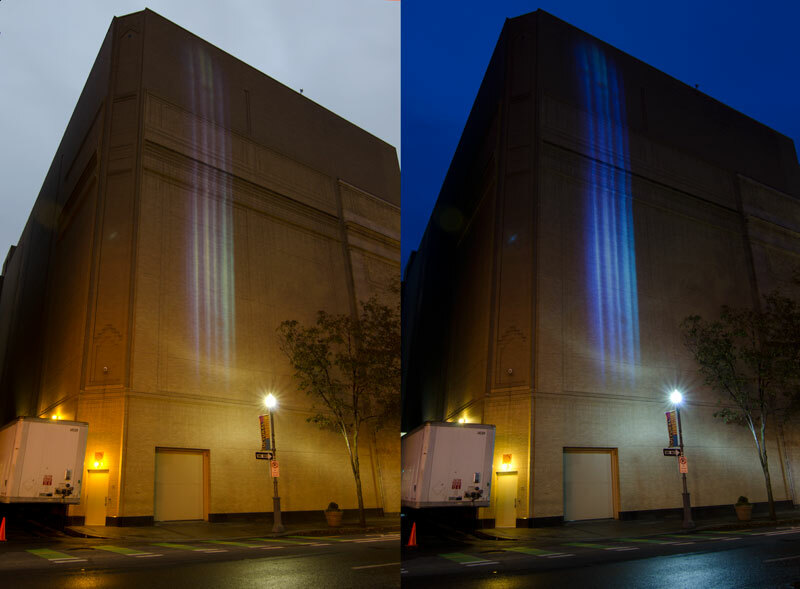 This installation started in San Jose, Ca in 2010 and was in Philladelphia in 2013. 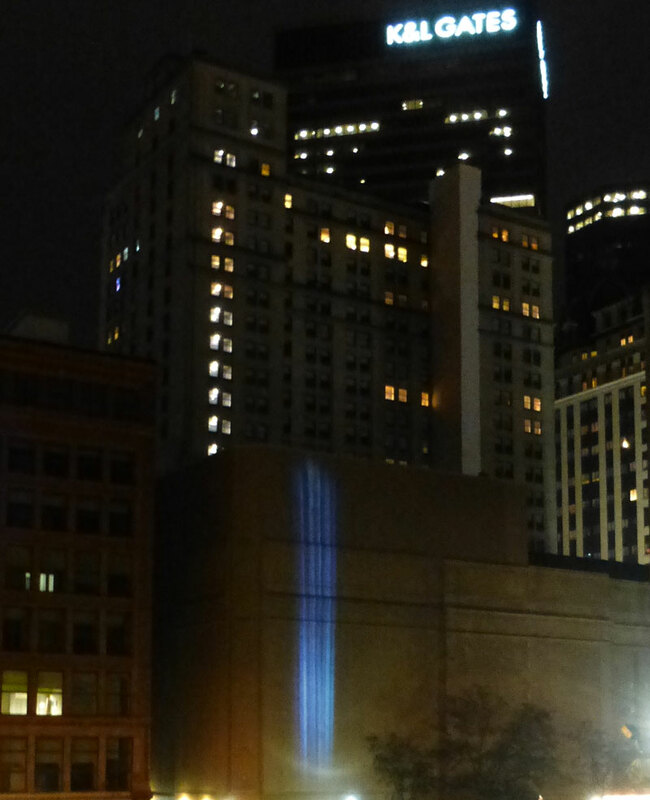 The Heinz Endowment’s Breath Project and the Office of Public Art brought it here to Penn Ave. It operated until the end of December 2014.